Participation in our Queer Mentoring Program more than doubled in the last year. We’re now serving 94 participants! Our student-run blog, Dear Queer, is wildly popular! Check out the four new blog posts from spring quarter. We have over 1,600 Facebook followers! Like our Facebook page and/or join the Q Center’s Facebook group for daily updates from the Q. We added 45 new books to our lending library. We initiated several new programs, including three new support groups (Lavender Circle, Global Q, Trans*/GenderQueer), weekly walk-in advising hours, a healthy relationship workshop, a healthy sexuality series, and weekly social programming. We collaborated with 29 different campus partners and community organizations on programming! For instance, our collaboration with the Hub, Facilities, the Office of Planning and Budgeting, and the Office of Title IX & ADA Compliance has led to the creation of more gender neutral restrooms in the core of campus! 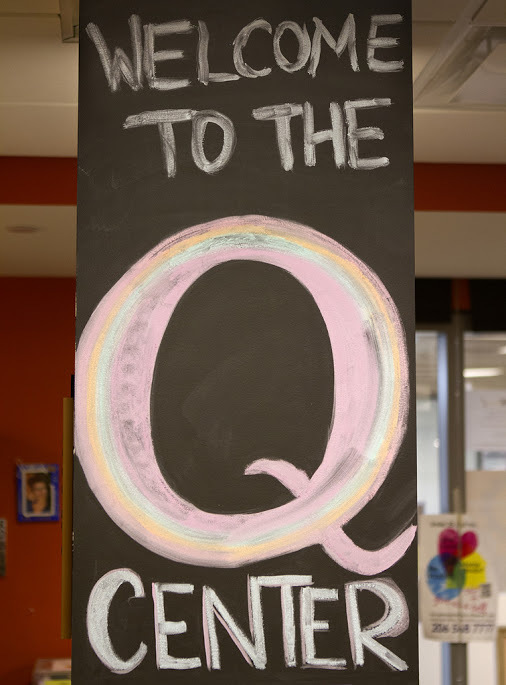 Did you know that the Q Center remains open during the summer? Our summer hours are: Monday – Friday, 10 a.m. – 4 p.m., and by appointment after hours.